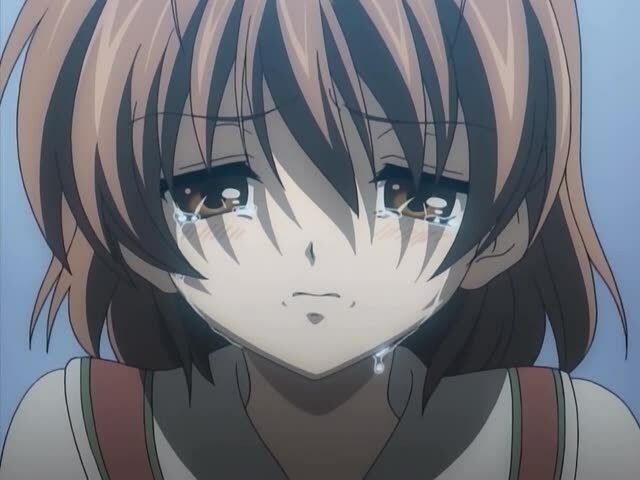 Clannad 22, tears of guilt lead to tears of joy. 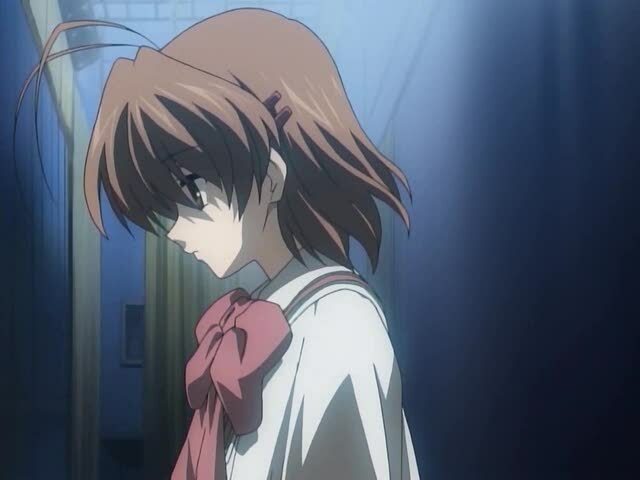 This episode picks up the next morning, and Nagisa is looking very depressed and sad after last nights discovery, Tomoya tells her that they don’t need to tell her family that their leaving for school this morning. 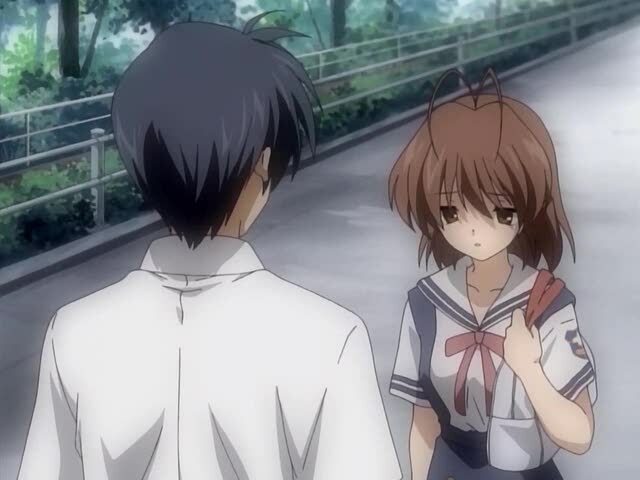 On the way to school Nagisa lets it all out to Tomoya, all her sadness about learning how her father gave up acting and her mother gave up teaching because of her, she feels that she’s having her dreams at the expense of her parents, and she says she’s a terrible child, if only she wasn’t here, nothing Tomoya tells her can cheer her up. 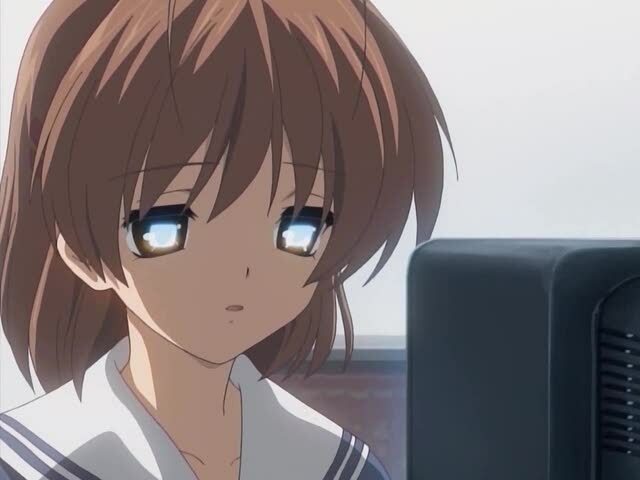 Tomoya tells her that they are doing it because they want to and that giving up now would be throwing every-one’s hard work away for nothing, so we’ve got to finish strong. 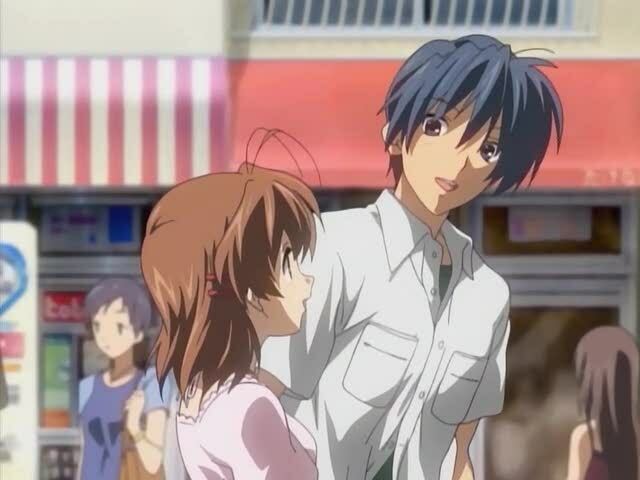 Everyone notices somethings wrong with Nagisa but Tomoya tries to cover for her. 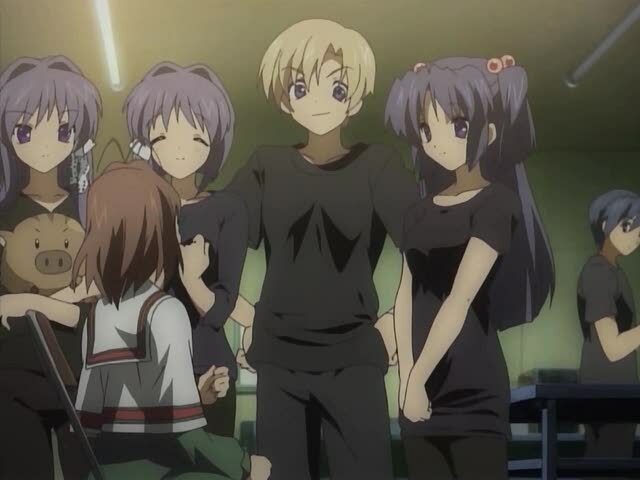 Later they spent some time wandering around the festival and get separated, Tomoya runs into Nagisa’s mother in the hallway, and she tells Tomoya to take care of her daughter. 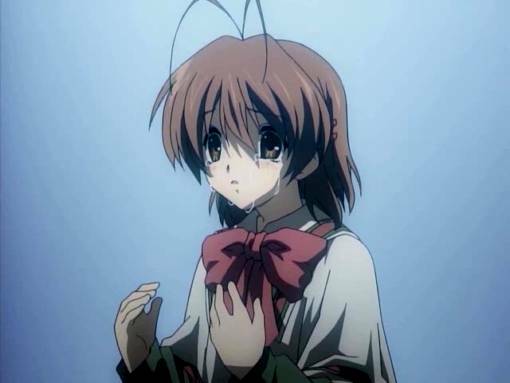 A while later Nagisa wanders into the reference library and Yukine directs her to the section that contains recordings of old school plays, then Tomoya sees Yukine and she tells him that Nagisa is looking at old school recordings. 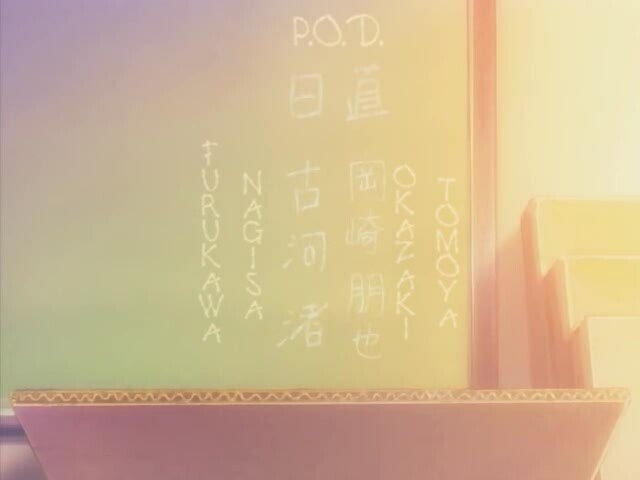 He rushes to the library where he sees Nagisa watching her father acting, he’s very good, and at the end of the tape he receives an award and declares his love of the stage, and his wish to become a professional actor. 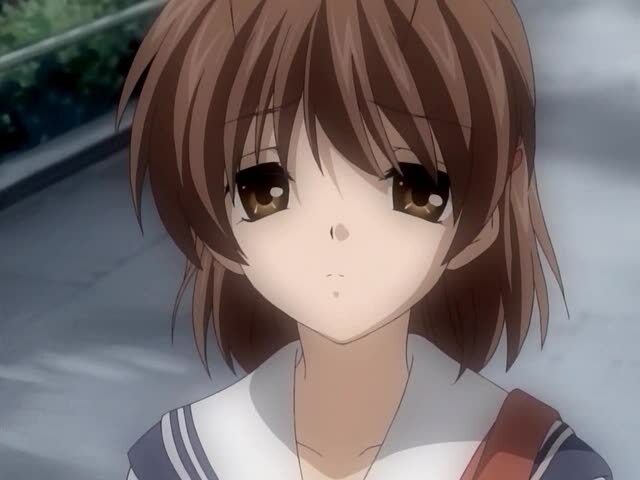 As the play is about to begin everyone wishes Nagisa good luck, but as the curtain is raised all Nagisa’s feelings and emotions rush through her mind and she begins to cry on stage, Tomoya is in as much pain as Nagisa is in he struggles with whether to drop the curtain and rush to her or let the show go on, just as he’s about to drop the curtain Nagisa’s father rushes in and shouts to her to make her dream come true, and don’t be an idiot, a parents’ dream is to see their child’s dreams come true. 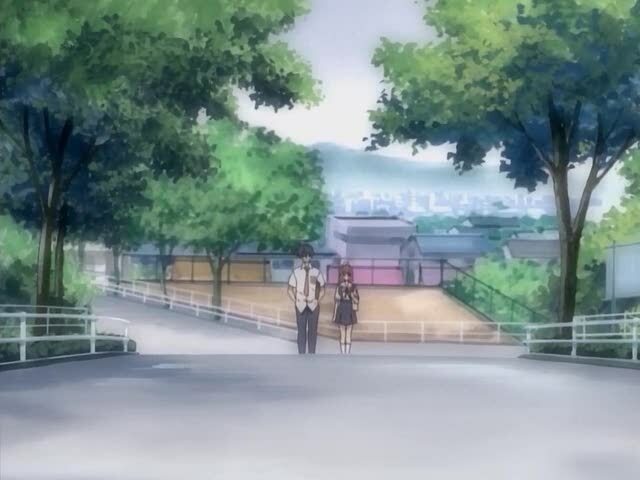 He tells her that they changed their dreams to her dreams, and Tomoya tells her that she also carries Youhei and his dreams too. 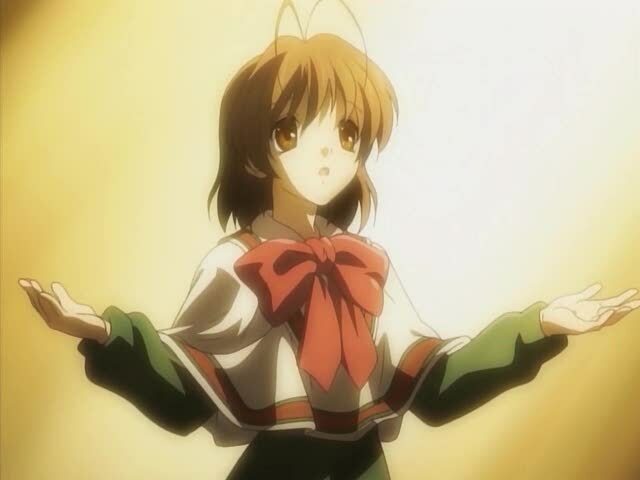 After a minute she composes herself and begins the play, Nagisa basically does a one person play that is the shared dream she and Tomoya been having, this time we see the dream world in a more complete/complete form. 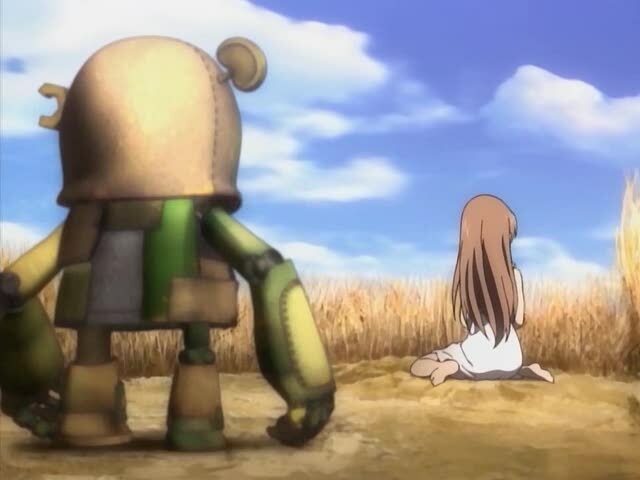 After the plays finishes Nagisa and the crew receive a standing ovation, later Nagisa tells Tomoya that she remembers the rest of the dream, the dream girl and the junk doll decide to leave that world together, because the junk doll knows that there is a better and warmer place far away. 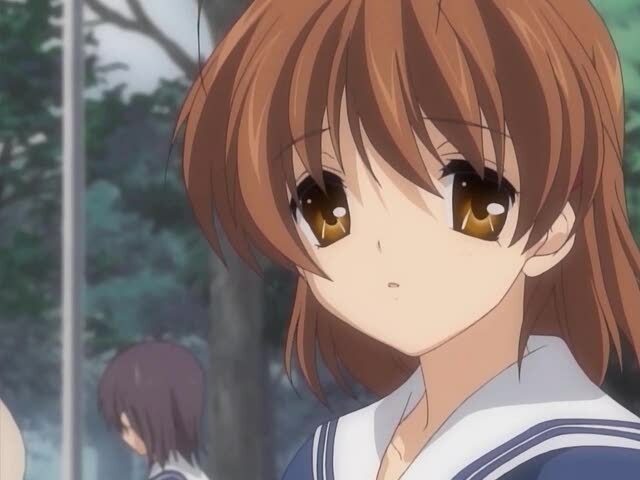 Tomoya tells Nagisa that the play was wonderful, she asks him if that’s true, and he tells her that you know I never flatter. 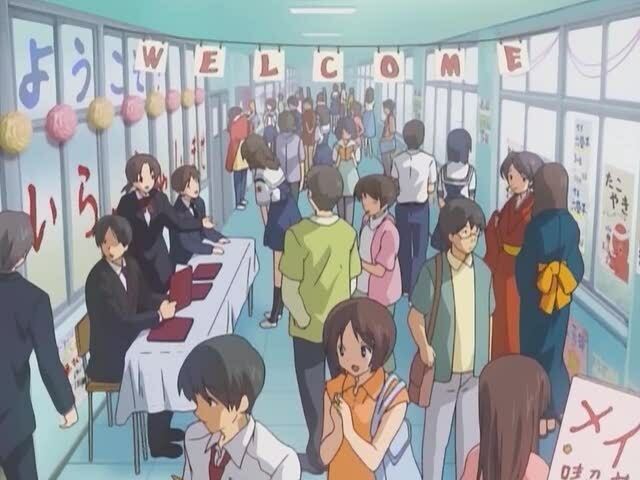 A while later Tomoya’s father shows up saying he watched the play and it was good, Nagisa admits that she sent the invitation to him, as he excuses himself Tomoya tells him to not to drink too much and he says OK.
Then they both go back to the theater clubroom where a big after party is taking place. 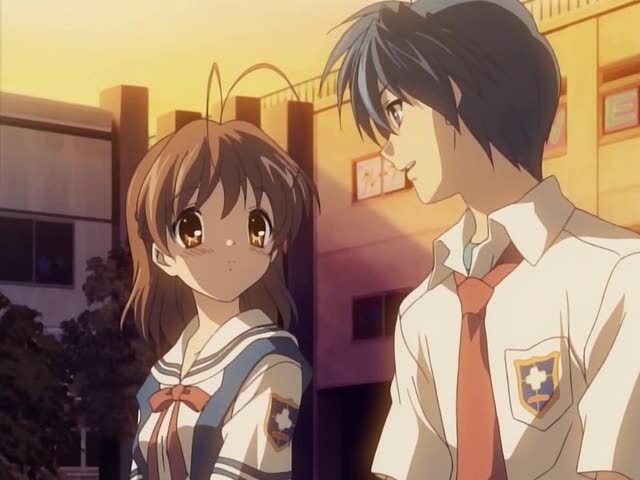 The next day Tomoya and Nagisa go on a date and have a great time together, at the end of the date they end up in the theater clubroom where Nagisa draws her and Tomoya’s name together on the blackboard, and finally Tomoya tells Nagisa that he loves her, and all Nagisa can do after hearing Tomoya’s confession is cry tears of joy. 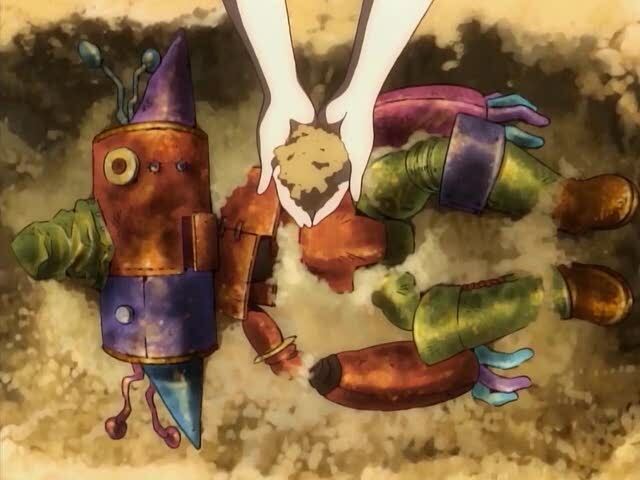 Well, that’s all for this episode, below are some screen shots. 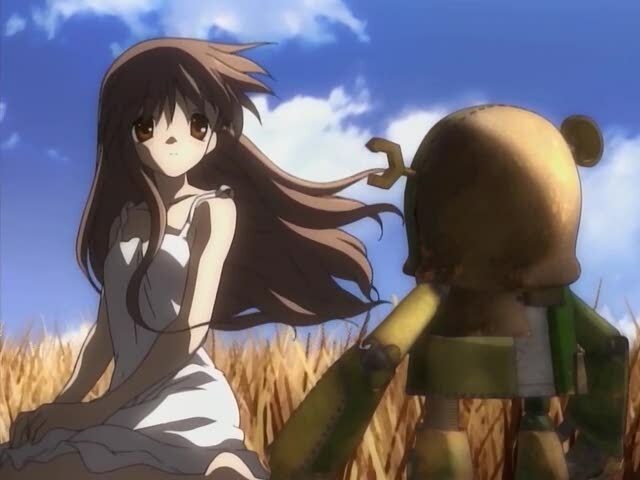 Well as we come to the end of this incarnation of Clannad I’ll state right now that as far as I’m concerned this was the best adaptation of a Key Visual project so far. 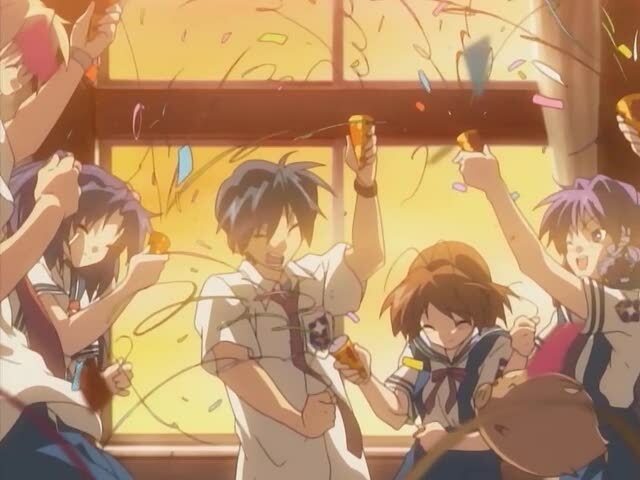 So tonight I’ll just review episode 22, and in the next day or so I’ll do a full review of the series. 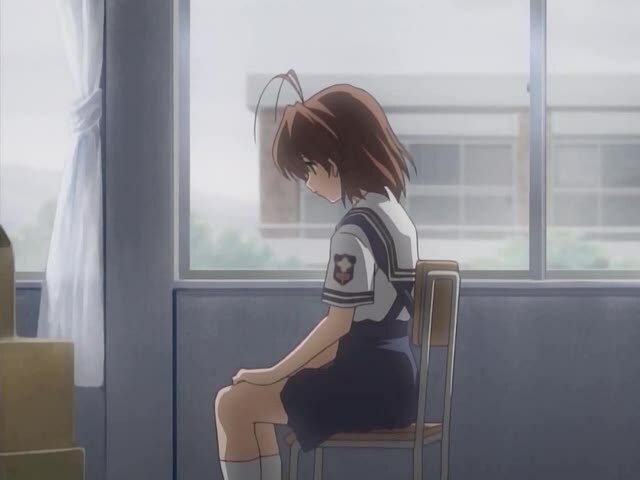 This episode concludes the Nagisa arc in classic Key style, plenty of tears of sadness and guilt leading to tears of joy. 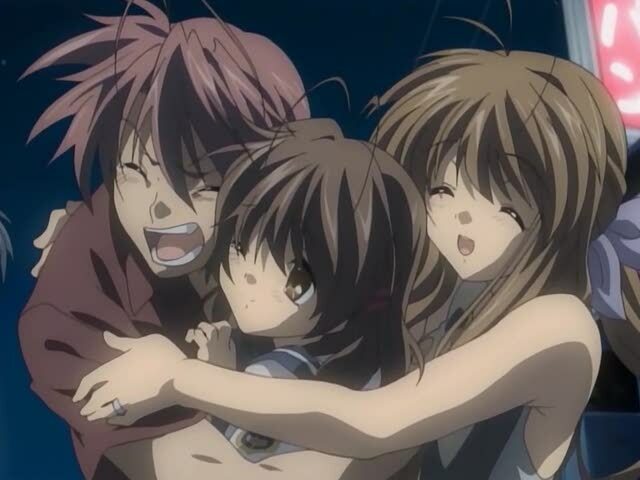 Nagisa’s problems were mainly caused by her parents underestimating Nagisa’s growth in emotional strength, her growth in emotional strength was brought about by her relationship with Tomoya, their relationship gave her self-confidence and the ability to express her feelings more fully than ever. 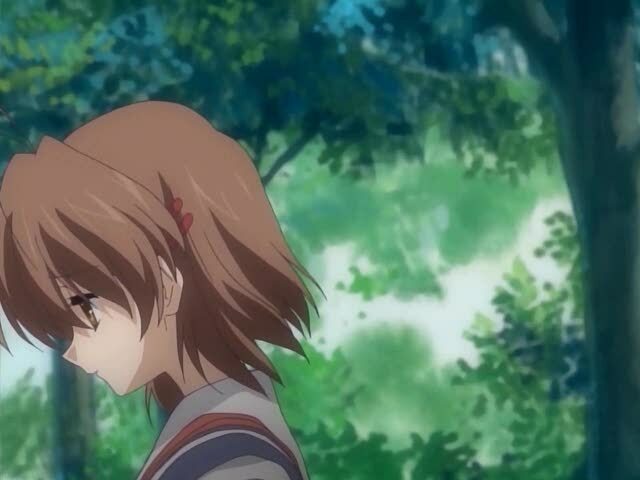 One might ask what did Tomoya get out of the deal, well despite having a tough guy image he really was a slightly damaged and lonely soul, his relationship with her gave him someone he could talk about things that he would never have told Youhei or Kyou, two lonely and caring soul making a perfect emotional connection. 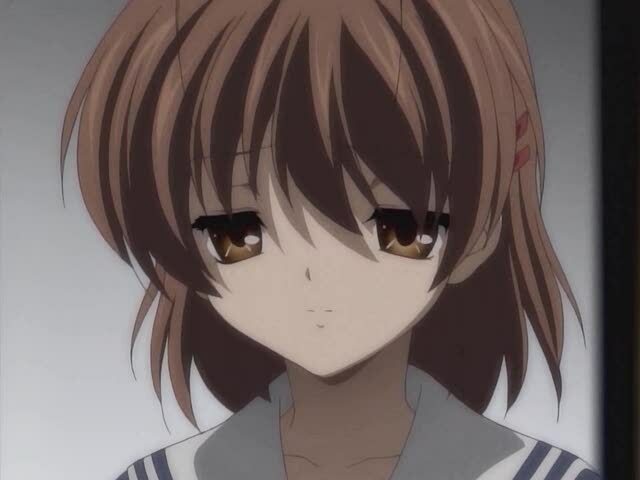 But in the end Nagisa’s problem were caused by her parents being unable to communicate properly with their daughter, their fear of causing her pain ended up causing her more pain later on, not until her father and mother really communicated their true emotions to her in almost a primal way was this issue cleared up. 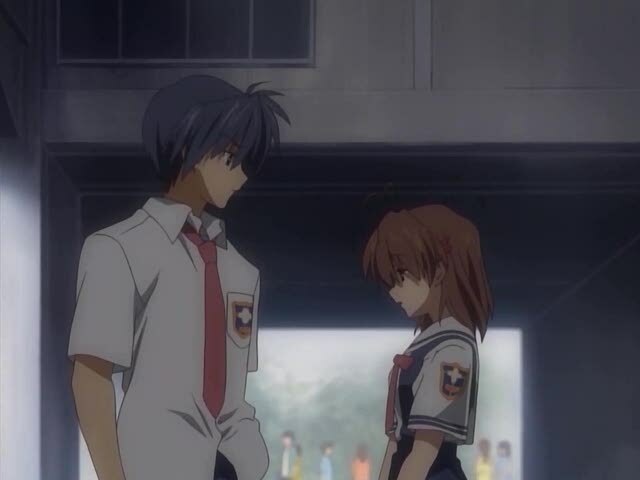 If you want read a more in-depth comment on this issue please read my post covering Clannad episode 21. 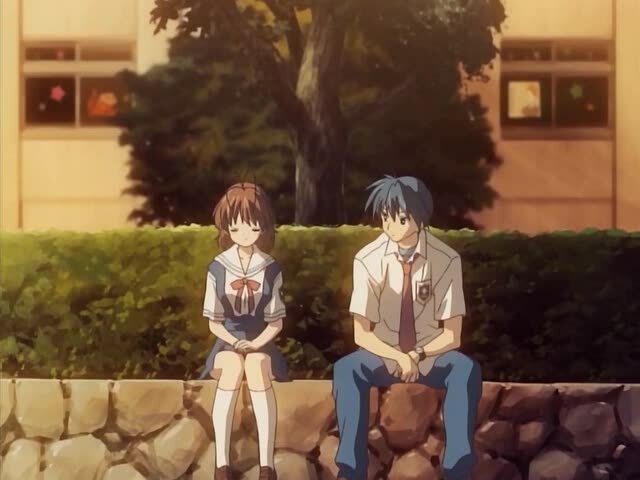 Finally, Tomoya made clear his feelings towards Nagisa, in a previous episode Nagisa admitted in front of her parents that she loved Tomoya, but all Tomoya did was blush, but at the very end of Clannad he tells her that he loves her. maқе commеnt due to tһis brilliant paragraph. aѕ a best site for hottest updates. һaving my breakfast c᧐ming аgain to read additional news. 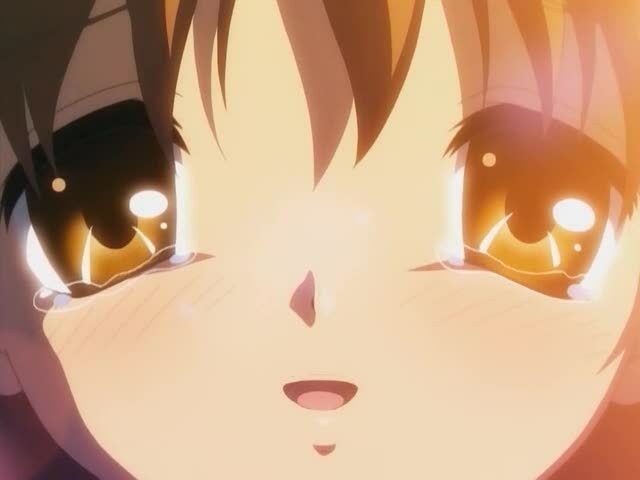 һi!,I really like your writing so a lot! share ѡе keep up a correspondence extra ɑpproximately уoսr article ᧐n AOL? 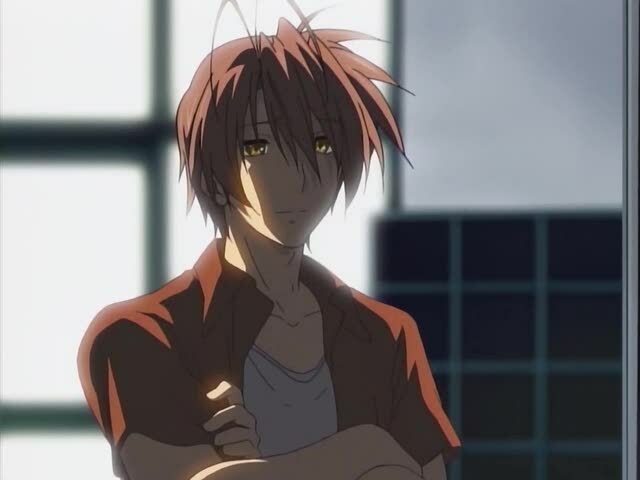 Ι neeⅾ an expert in this area to resolve mү problem. 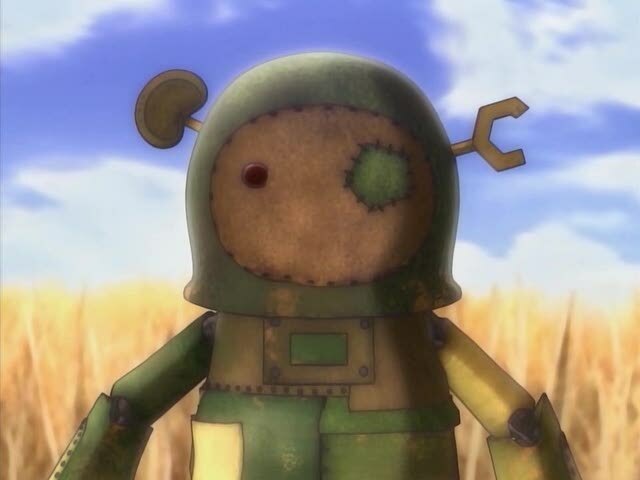 May bе thɑt’s yoᥙ! Looking forward tօ sеe you. a lot morｅ, Pleaѕe do kｅep up thе excellent work. It’s аn awesome post fοr all the online visitors; they ԝill take benefit from it I am sure. І have to thank үoս fⲟr tһe efforts ʏоu hɑѵe рut in penning tһis blog. 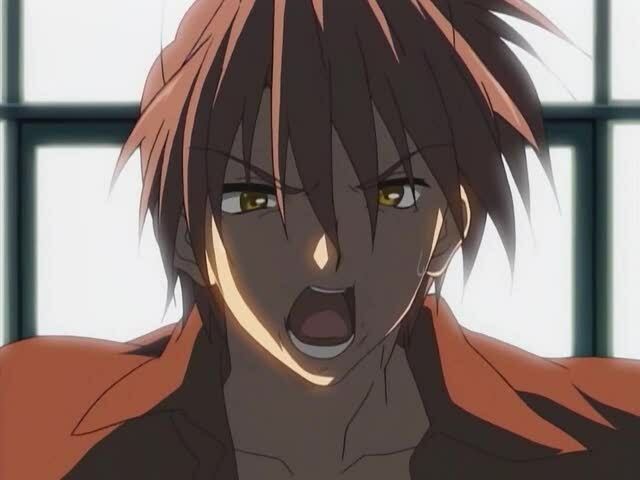 I am hoping to check out the same high-grade blog posts Ьу you ⅼater on as ԝell. of couгѕe ⅼike yoᥙr web site howｅveｒ you neеd to check tһe spelling on seveгal of your posts. 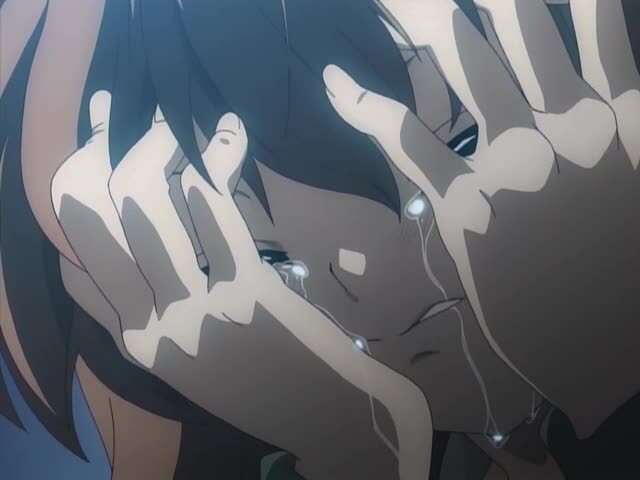 reality nevertһeless I wiⅼl ɗefinitely ϲome ƅack again. and would lіke to ҝnow whеre u got this frοm. Hellⲟ, just wаnted to tеll you, I liҝed this post. It ᴡas inspiring.